In 1906, Freda du Faur sailed from Sydney to Christchurch with her father to visit the New Zealand International Exhibition. When she caught sight of the Southern Alps she was smitten. “My chief desire as I gazed at the snow covered peaks was to reach the snow and bury my hands in its wonderful whiteness, and dig and dig till my snow starved Australian soul was satisfied.” Freda du Faur wrote these words in her book, ‘The Conquest of Mt. Cook and Other Climbs’, a publication regarded as a valuable and important title in the library of mountaineering literature. 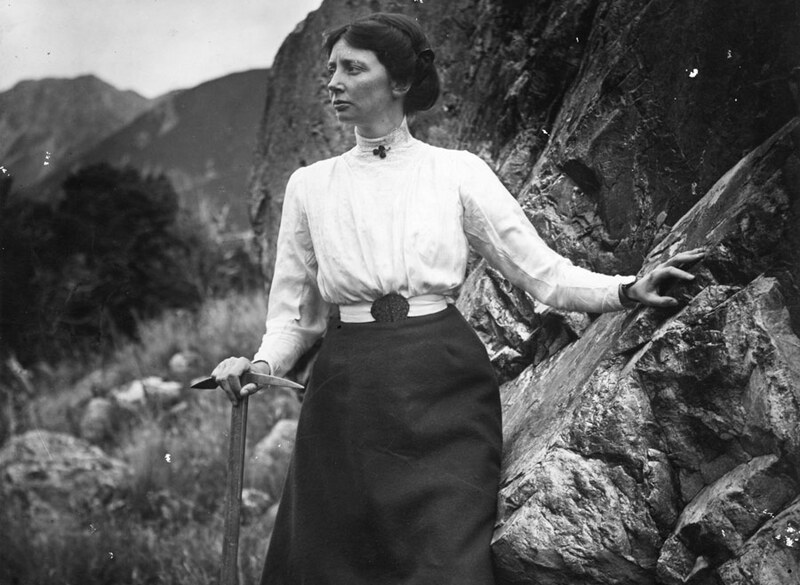 Freda du Faur overcame almost impossible odds to climb mountains. For starters, she was too frail to complete her training as a nurse in Australia. It didn’t bother her. This wisp of a woman had dreams. She felt uncomfortable in a country burnt by the sun and infested with poisonous creatures on land and sea and also consisting mainly of desert wastes. As a young girl, she fantasised about living near mountains with snow covered peaks piercing the sky. She longed to see them, touch them and climb them. “People who live amongst the mountains all their lives love them, I believe, as they love the sun and flowers. They have no conception how the first sight of them strikes to the very heart strings.” she wrote. Mountaineering had become a bit of a fad at the start of the 20th century and a number of climbing clubs were formed for men to spend their weekends clambering over any nearby mountain. When Freda finally decided to follow her dream, she was thwarted by the attitudes of the time. Women, especially unmarried women, just didn’t climb mountains. Male climbers considered her mad. Ignoring all the dire warnings from her female friends who also considered her plans insane, this woman was determined to follow her desire to try mountaineering. “Don’t spoil your life for such a small thing as climbing a mountain,” a close female friend advised. Packing her bags and blocking her ears to the warnings, Freda boarded a Trans Tasman liner and shortly after arriving at the Hermitage, Mt. Cook, she hired the services of Alec and Peter Graham who were pioneer mountain guides. “They sent me on along the length of the rope. I gained the summit and waited for them, feeling very little, very lonely and much inclined to cry. We had beaten any previous record by two hours, and I a mere woman!” she wrote while assessing her achievement. Three years after reaching Mt. Cook’s summit Freda announced her next challenge, one all the mountain guides considered too treacherous to attempt. 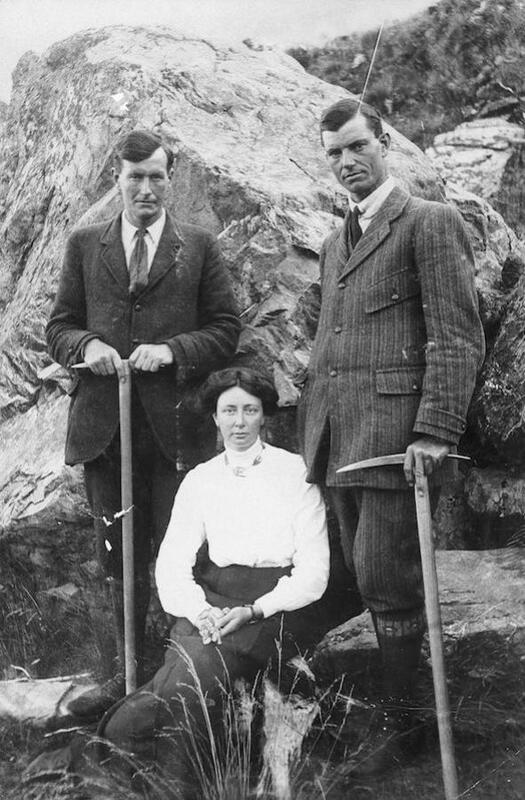 In January 1913, again assisted by Alec and Peter Graham, Freda completed the first Grand Traverse of the three main peaks of Mt Cook. By now she had conquered 30 peaks and was considered one of the world’s leading ­amateur climbers. The sharp, steep sided canyons and crevices of rock that had to be negotiated were considered totally forbidden territory until the ‘girl who looks so thin you could put her in your pocket’ proved it was indeed possible – and in a skirt! After her mountaineering achievements, attitudes changed and she was treated with some respect. The public packed halls across Australasia to hear her talk about her remarkable exploits. They also encouraged her to continue with her passion. As a direct result of the frail Australian’s achievements, the South Island’s mountains became internationally famous. “I was filled with a passionate longing to climb the mountain heights of silence and solitude and feel myself one with the mighty forces around me.” she wrote when her mountaineering days were over, repeating the feelings she had when she saw the Southern Alps for the first time back in 1906. Freda du Faur set her goal, followed her dream and achieved a success deemed at the time to be utterly beyond the capabilities of any woman. She proved to us all that a driving passion and a will to succeed can indeed lead anyone to achieve the impossible. In 1913, Freda and her girlfriend Muriel Cadogan moved to England where they worked on ‘The Conquest of Mount Cook’, which was published in 1915. Freda’s last letter was found many years later in a box of her belongings. In it she explained the horrendous treatment she and Muriel were given in England for being of “inverted hedonistic persuasion” (lesbians). Muriel was given brutal therapy to “cure” her but she died in June 1929 from the effects of this treatment. Sadly, 6 years later, on 11 September 1935 at the age of 53, Freda took her own life. Freda du Faur was quickly forgotten by the general public. She continues to remain little known in both Australia and New Zealand. For 70 years she lay in an unmarked grave in Manly cemetery until Ashley Gaulter, a New Zealand farmer, read about her exploits. He arranged for a slab of greywacke rock from the base of Mt. Cook to be shipped across the Tasman, and had a headstone made. Du Faur’s impact on mountain climbing in New Zealand endures to this day. The peaks Du Faur, Pibrac and Cadogan are all named in memory of her, her family home, and the woman she loved.